Hello! Another haul, yes. The box of joy containing the above was in my grasp yesterday, so had to immediately take photos as new products happiness took over me a little. Thankfully I had some John Lewis vouchers to spend, so this didn’t make too much of a dent in my bank balance. I’d had my eye on some of these lovely beauty bits for such a long time, so am glad they’re finally mine. Expect reviews aplenty once they’ve all been tested! First up is beautiful candle bought for me by my boyfriend. It was actually our two year anniversary last Thursday and, as much as we didn’t make a huge deal out of it apart from going for a tasty meal, he offered to buy me this (isn’t he nice?) Now, almond scents are my favourite ever so when I saw this was being released, I knew I had to have it. 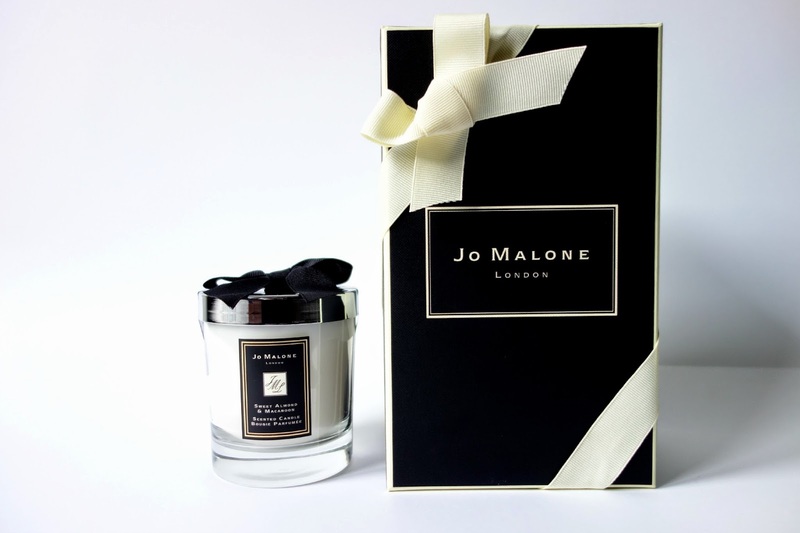 The Jo Malone Sweet Almond and Macaroon Candle smells exactly like a bakewell tart, the perfect combination of almonds and cherry. It’s so sweet and warm, the perfect scent for me. 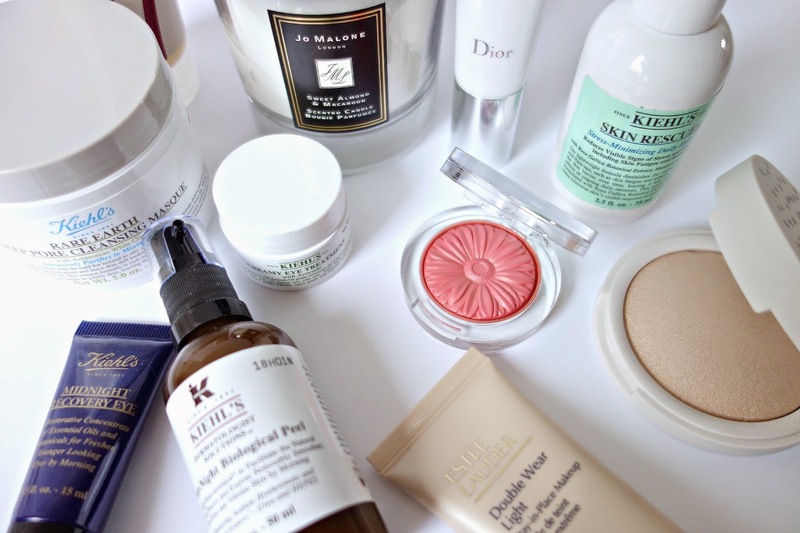 Onto the products, I tried to get an even amount of skincare and makeup but if you’ve been reading this blog for a while, you’ll probably gather that skincare takes priority. I’ve wanted to try the Merumaya Melting Cleansing Balm for a while now, as they’re a brand I really like plus I’ll take any excuse to add another cleansing balm to my collection. Kiehl’s are a brand that can do no wrong with me, so firstly I picked up the Kiehl’s Overnight Biological Peel which has been on my wishlist for about a year now! Next are two eye creams, as my current ones are running low. I opted for the Kiehl’s Midnight Recovery Eye and the Kiehl’s Creamy Eye Treatment With Avocado, as my eyes have been a little dry recently. To be honest, my skin as a whole has been quite dry so the Kiehl’s Skin Rescuer was also added to my basket to help with dehydration and any dry patches. Finally, as I love the cleanser, the Kiehl’s Rare Earth Pore Cleansing Mask had to tag along to combat some pesky blemishes I’ve been having recently. As for makeup, light bases have been more of a priority recently instead of wearing a full face of slap. As much as I adore the original formula, I thought I’d give Estee Lauder Double Wear Light a go to see how it compares. The Dior Glow Maximizer Light Boosting Primer was a Hello October inspired purchase and I hope it lives up to the dewy hype, as my dull skin needs it right now! I wanted to get my mitts on the Topshop Highlighter in Cresent Moon in so long (even though I just bought their cream highlighter!) and was surprised to find John Lewis still had it in stock, so had to snap it up. Aaand finally (are you even still reading?) since there’s been so much blog love, the Clinique Cheek Pop Blush in Peach Pop found its way into my basket too. So, that’s everything I picked up (and was kindly bought) from John Lewis. After a completely rubbish week, which still seems to be continuing, hopefully testing out some new things will cheer me up! What do you think of my little haul? ps. 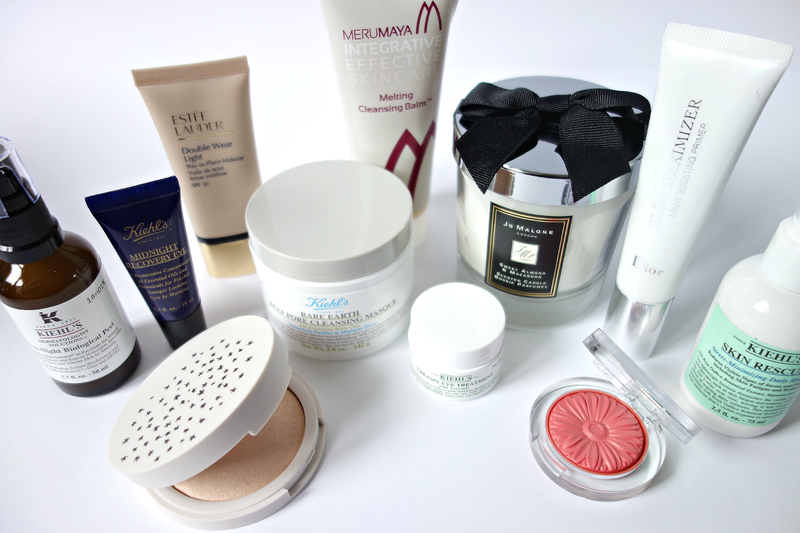 As you can get a lot of these products in Space NK, if you spend £40 you can get £10 off using the code ‘RUTH20’ courtesy of the lovely Ruth from A Model Recommends, click here to get shopping! See her post for the T&C’s.